“For the past 45 years our classes have helped many candidates score high marks on civil service exams! It would be foolish to not sign up for our course and fully prepare for this very competitive exam which comes out only once every 4 to 6 years!” Sign up today and take the first step to your dream career. Our class is a three session preparatory course to help prepare you for the Suffolk County Police Officer Exam. The class will cover each section of the Suffolk County Police Exam including all cognitive ability assessment, required reasoning ability, work, school life experience questions and questions addressing personality traits that are associated with successful performance of law enforcement duties. Our classes will also give you information on the entire hiring process including the background investigation, physical ability test, psychological evaluation and oral interview. 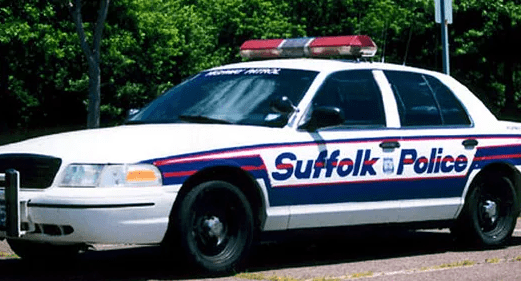 Make sure you read through any FAQ’s and make sure you meet the minimum requirements to become a Suffolk County Police Officer. $459.00 for our 3 session preparatory course. Payable with Non- refundable deposit of $179.00 the balance of $280.00 is to be paid in the first class. We will have classes available on in Suffolk County, Nassau County and Queens. In order to take the exam to become a Suffolk County Police Officer Officer you must be at least 19 yrs. old and must not have reached your 35th birthday on or before the date of the exam. You will not be appointed to the job however; until you are 21 years of age. Note: You may deduct up to 6 yrs. from your current age to reach your maximum age requirement for each yr. of satisfactory active military duty performed. You must have a high school diploma or GED- NO College Credits Required to become a Suffolk County Police Officer. Must be a resident of New York City, Nassau, or Suffolk Counties. You must possess a valid New York State drivers license at the time of appointment to the job (not needed to take the written exam). You must be a US Citizen at the time of appointment to the job (not needed to take the written exam). Starting Salary $42,000 during the academy and increases incrementally to $111,506 after 12 years. Full salary and benefits during entire training period. All uniforms and equipment are supplied by the Department. Paid family dental, optical and medical plans. Three (3) paid personal days first year of service, increasing to five (5) days after three (3) years of service. *Pension plan. Members are eligible for retirement after twenty (20) years of service at 50% of five (5) year final average salary. Vested retirement plan after ten (10) years. Classes filling up quickly, seating is limited!